Temperatures in Southwest Ohio frequently plummet into the teens or lower during the winter. If your aging furnace can’t keep your family comfortable, or you need to install a heating system in your newly constructed home, call Rick’s Heating & Cooling. We offer furnace installation and replacement services in the Cincinnati area. While we also carry oil furnaces, we often recommend gas furnaces to our customers. If you’re not sure what fuel type is best, we’ll help you make the right decision for your home. Then, we’ll perform an expert installation meant to exceed your expectations for many winters to come. To schedule a free in-home gas furnace installation estimate, please call Rick’s Heating & Cooling today at 513-899-6005 or fill out the contact form on this page. First, select a fuel type and brand. 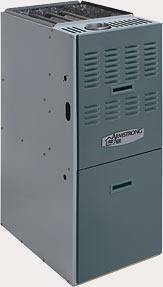 We install gas furnaces from Armstrong Air for proven home comfort and energy efficiency. Next, choose an efficiency rating. We offer furnaces ranging from 80 to 95 Annual Fuel Utilization Efficiency (AFUE) to meet your budget and performance needs. Then, we size your furnace to match your home’s heating requirements. We take into account square footage, home orientation, window layout, air infiltration rates, insulation levels, and other factors to provide the best results. The final step is to install the furnace correctly. Our techniques ensure your heater operates efficiently starting on day one and for many years to come. Our technicians have years of experience to properly size and install ductwork needed to make sure your new gas furnace lasts and has minimal breakdowns. Contact us to learn more how we can install your new furnace in your Ohio home! Lower heating bills: Oil sometimes costs up to five times more than natural gas! Greater reliability: As long as you have natural gas lines, this fuel is delivered directly to your home—no need for an on-site storage tank. Cleaner heat: Natural gas produces no sulfur dioxide and up to 40 percent less carbon dioxide than oil. Increased home value: More than 50 percent of American homes are heated with natural gas. By following this trend, you can expect increased value if you ever put your home on the market. Domestically abundant fuel source: Most of our country’s natural gas supply is from domestic sources, reducing our dependence on foreign oil. We carry Armstrong gas furnaces to keep your family home in the blisteringly cold Ohio winters! Our “Good,” “Better,” and “Best” models range in price and efficiency to meet anyone’s budget or efficiency preference. Learn more about the three gas furnace models that we offer below, or contact us to talk to a professional technician about your options today! Featuring a single-stage gas control system, the Armstrong Tech 80 ensures reliable heat output to maintain even temperatures throughout the home. This means that your comfort never wavers, regardless of the changing weather conditions outside. The Armstrong Tech 91 furnace features an AFUE rating of up to 91.0%. That means less energy is required to maintain the comfort of your home when compared to older, less efficient furnaces. With this energy efficient model, you can notice a slight difference in your utility bills. 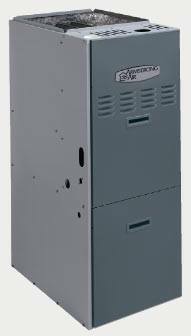 Our 95% AFUE gas furnace by Armstrong has one of the highest efficiency ratings available on a gas furnace, significantly reducing heating costs compared to the older furnaces it often replaces. What’s more, our variable speed motor can cut your electrical consumption significantly in both normal and continuous fan modes. If you determine that a gas furnace is right for your home heating needs, it’s time to call Rick’s Heating & Cooling. We respect your time, so we schedule all in-home estimates and installation services within a two-hour window. This way, you’re not left waiting all day for a heating technician to arrive. 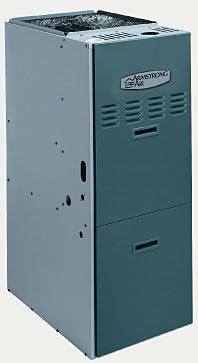 Please contact Rick’s Heating & Cooling today to schedule a gas furnace installation or replacement in Cincinnati, Morrow, or the surrounding areas. Our experience serving Southwest Ohio dates back to 1986. To learn more about our gas furnace options or our installation services, schedule an in-home estimate online or call us at 513-899-6005 today! One of our HVAC experts will meet with you to discuss the best gas furnace options for your home and budget.